Home / Events / Community / Float Trip! 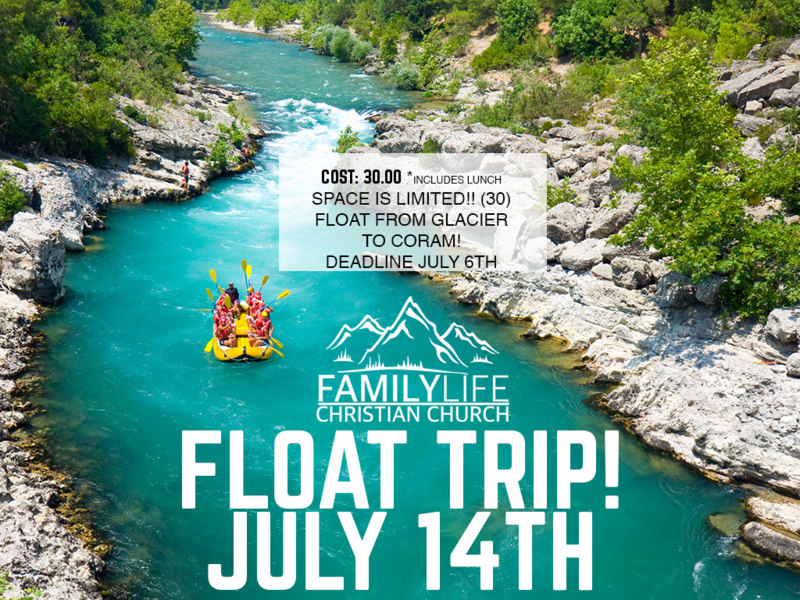 Join all of FAMILY LIFE as we embark on our first ever Float Trip July 14th! We will be floating from Glacier to Coram. The cost of this trip is 30.00 and includes lunch and everything needed to float. Space is limited to 30 so if you want to go sign up early! Deadline for signing up is July 6th.